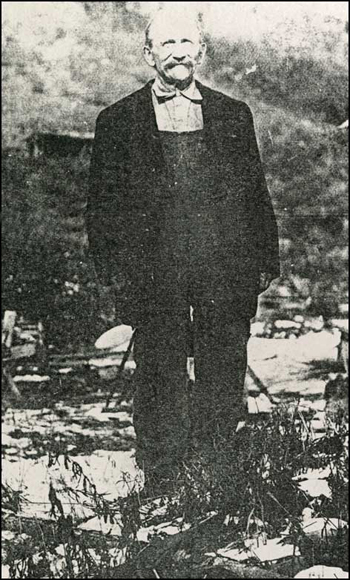 George Pilz, as the first professional mining engineer in the new territory of Alaska, became a leading figure among the miners who entered Alaska in the first decades after purchase. He was born in Saxony and educated at the famed mining academy at Freiberg. He left Germany in 1867 after exploring for coal, and thus avoided conscription for the Franco-PrussianWar. Initially Pilz looked at prospects in Canada and the United States for a German-owned company; he left that company to work for Calumet and Hecla at Hancock, in the Michigan copper ranges. In 1869, he left Michigan to erect a copper smelter in California. Over the next decade, in California, Arizona, and Nevada, Pilz established a reputation for cantankerous competence that assured him employment, but kept him moving for the rest of his life at prospecting, mining, and erecting mills and smelters. In 1878, Pilz met Nicholas Haley in San Francisco; the men had previously met at a job in California. Haley, who had been stationed with the U.S. Army in Sitka, had rich gold-quartz specimens from the Stewart and other lodes near Silver Bay, south of Sitka. At first, Pilz thought the ore came from the rich Grass Valley district in California, but Haley introduced George to army officers and soldiers in San Francisco who convinced Pilz the samples were from Alaska. Pilz found capital for the project, and, in February of 1879, moved to Alaska to start construction of a mine and mill at Silver Bay. Gold processed by Pilz's five-stamp mill was the first lode gold produced in Alaska. The mine shut down early in 1880, when it became evident that it was not rich enough to pay. Pilz was criticized at the time, but subsequent events redeemed his reputation. To extend his range of prospecting throughout southeast Alaska, Pilz enlisted the aid of several Tlingit tribes. He followed up on their samples with experienced prospectors, including Alaska Mining Hall of Fame inductees Joe Juneau and Richard T. Harris. One of his prospecting parties opened up Chilkoot Pass, later the gateway to the Klondike, after Navy Captain Beardslee convinced the local Chilkat tribe to open the pass on a profitable freighting basis. Some of the best samples obtained by Pilz were brought by Alaska Mining Hall of Fame inductee Auk Chief Kawa.ée, who lived on Admiralty Island, near the site of the modern-day city of Juneau. The samples were almost certainly from the Gastineau Channel area. Harris and Juneau made their lode discovery in early October 1880, following an early trip that took the men to Gold Creek, where they found good placer showings and fragments of quartz with gold. On the first trip, Harris and Juneau went as far up Gold Creek as Snowslide Gulch, a left limit tributary, where they found marginally commercial indications of gold. (Snowslide tapped the quartz vein system that became the Ebner mine.) A grubstake agreement recorded by Pilz allowed Harris and Juneau the right to stake placer claims for themselves, and also the right to stake lode claims for themselves at the ratio of 3:1 favoring Pilz. Following the discovery of the rich deposits in Silver Bow Basin above the site of the modern-day city of Juneau, Harris and Juneau returned to Sitka. Pilz returned to the new town site with them. He approved of the work that the men had done, and accepted the claims as fairly staked. There were enough miners in the Territory of Alaska to set off a rush to the new site in December 1880. N.A. Fuller, a storekeeper from Sitka, appears to have been associated with Pilz in some way. Later, Pilz maintained that Fuller was a subsidiary player, always acting on behalf of Pilz and not on his own behalf. The confused matter caused trouble later on for both Pilz and for Richard T. Harris. A Sitka jury sided with Fuller and awarded a judgement against Harris in 1886. Pilz, who could have aided Harris, was in the San Francisco jail waiting for trial on a fraud charge, a charge that Pilz always denied. Many years later, Pilz had few good words to say about Harris, but numerous letters from the period show that Pilz then regarded Harris as one of his few friends. Harris and the miners of Juneau sent gold dust to Pilz in San Francisco so that Pilz could make bail. The complex events suggest, again, that Pilz was his own worst enemy. Pilz almost certainly erected the first prefabricated building in Alaska, when he erected a home pre-built in Sitka. On 7 February 1881 Pilz chaired the miner's meeting that adopted revised rules for the Harris district. He was also involved with the organization and platting of Juneau (then Rockwell or Harrisburgh). Pilz's career took him to Mexico, South America, and several other sites in Alaska. Pilz was in Dawson in 1906; at Katalla in 1907, probably working on coal; in Chitina in 1911, then spent many years in the Forty-Mile region. He died in Eagle, Alaska, on September 15, 1926, vociferous and cantankerous to the end. By Charles C. Hawley and David B. Stone, 1999.